The New York City Council is expected to vote this Wednesday on four critical bills that together comprise one of the country’s most comprehensive efforts to reduce energy consumption in existing buildings. These four bills (Proposed Int. Nos. 476-A, 564-A, 967-A and 973-A) would not only lower energy costs for consumers and result in significant job creation, improved conditions in the buildings in which we live and work, and fewer emissions of harmful pollutants, but they also represent a major step forward in the City’s effort to reduce its carbon footprint. Energy efficiency is an important resource and is the cheapest, easiest and fastest way to meet New York City’s energy needs while reducing the harmful impacts of pollution. Buildings represent our largest source of efficiency that is just waiting to be tapped - particularly in New York City, where energy use in buildings is responsible for nearly 80% of the City’s greenhouse gas emissions. Unfortunately, much of the energy used in our buildings is wasted – the legislation included in New York City’s “Greener, Greater Buildings Plan”, announced in April by Mayor Bloomberg and City Council Speaker Quinn, would help to stop this wasteful spending, as it is estimated to save New Yorkers more than $700 million annually in energy costs through increased energy efficiency. The bills would also reduce greenhouse gas emissions by nearly 5%, thus going a long way towards achieving the City’s target of reducing such emissions 30% by 2030 (the centerpiece of PlaNYC, which was later codified in law by the City Council in Local Law 55 of 2007). In addition, the package, which is expected to create over 17,000 construction-related jobs in the coming years, can help the City become a center for green jobs and innovation. As demand for energy efficiency grows, here and throughout the country, New York City is poised to position itself as a national leader. -- Int. 564-Awouldcreate for the first time a New York City Energy Conservation Code. This bill would close a significant loophole in the current New York State Energy Code, by requiring that all renovations must comply with the Code and meet greater efficiency requirements, not just those that impact at least 50% of a building subsystem. This issue is particularly important for buildings in New York City where renovations don’t typically happen “building-wide”, but rather on a piecemeal basis. -- Int. 967-A would require building owners to conduct energy audits and retro-commissioning once every ten years. These measures would identify ways for building owners to save money by highlighting opportunities that exist to make their buildings more energy-efficient and by “tuning up” building systems so that they’re operating as efficiently as possible. The bill would also require that the City “lead by example” and implement in its buildings those energy efficiency measures that would pay for themselves through energy savings within 7 years. -- Int. 973-Awould require that buildings upgrade to more efficient lighting and that commercial tenant spaces be sub-metered by 2025. Lighting represents approximately 20% of energy consumption in New York City buildings. Sub-metering will ensure that tenants have the information and incentive to be more efficient in their energy usage. In addition to the State and federal funding that currently exists to help pay for these measures, new and expanded financing options for energy efficiency are coming on line, and will make it even easier for building owners to act on the energy efficiency opportunities identified through the legislation. 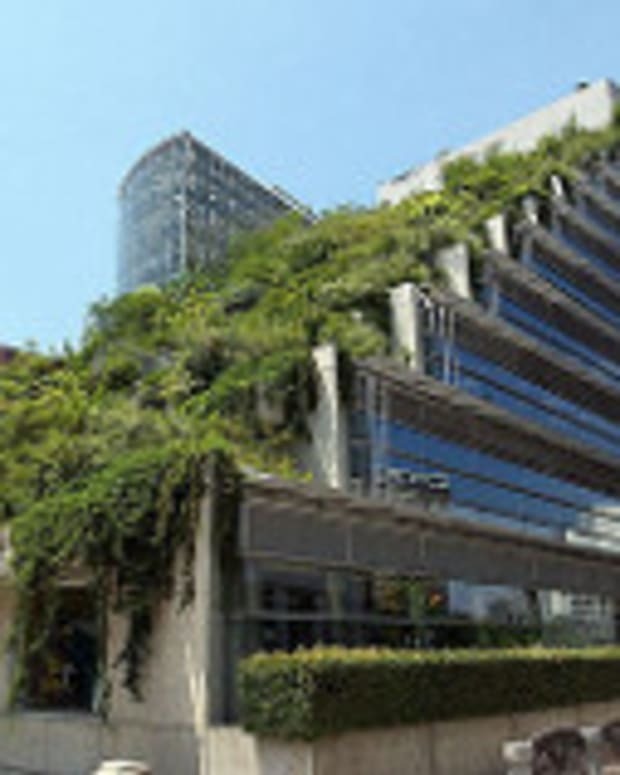 New York City’s green buildings legislation is a carefully crafted, sensible package that has been further refined since its introduction to take into consideration the concerns of a wide range of stakeholders. The result is an excellent, ground-breaking initiative that is a win-win proposition for New York City consumers and the environment - it will not only result in a multitude of benefits for New York City, but can also serve as a model for other cities around the country and the world. The Mayor and the City Council should be applauded for their leadership on this effort.